Eric Miller has released UX Kits Mobile Devices. The Mobile Devices Kit includes 18 phone and tablet mockups in in Illustrator and EPS formats plus an OmniGraffle stencil. Quickly add your website or app designs to any of the devices, or easily modify the shapes to create new devices or icons. Create product mockups and device icons, or use the illustrations on websites, documentation or print materials. 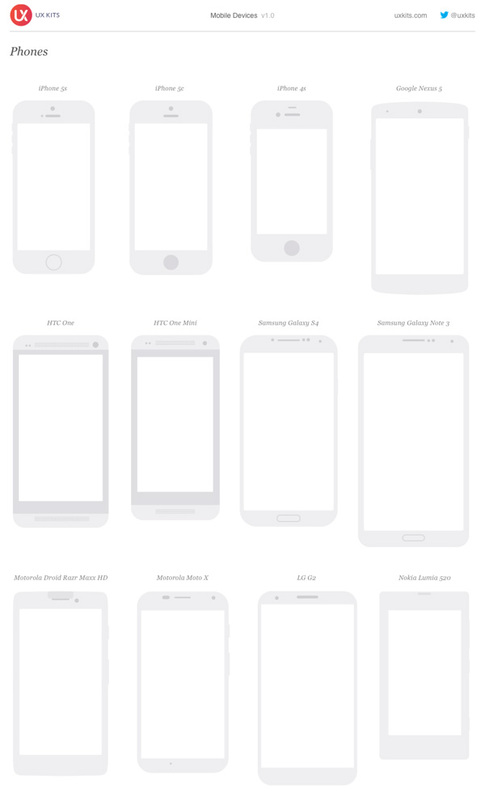 Download UX Kits Mobile Devices (Freebie) from here.